Google (s goog) has been prodding mobile website owners to optimize their sites for mobile. Now, it’s taking a more aggressive step by announcing that it will consider whether an advertiser has a mobile optimized site when assessing ads quality for all AdWords campaigns. What this means is that in the coming weeks when Google looks at how to decide which ads to feature, it will consider how well a site is tailored for mobile devices, things like whether it works well for touch, is made for smaller screens, has shorter load times and avoids Flash. To be sure, advertisers who adhere to these guidelines won’t be guaranteed better visibility. But connecting to mobile optimized landing pages that perform better in AdWords will now be a factor in determining ad placement. This will only affect advertisers who advertise on mobile and won’t affect ads served on PC browsers. This is interesting because Google rarely talks about what affects keyword quality scores in AdWords. Advertisers bid on ad placement based on keywords, but Google looks at a range of factors like click-through rates and ad quality to determine what goes where. So ads that are considered to be beneficial to users can be featured higher than ads whose owners sometimes bid more in AdWords. This isn’t the first time Google has pushed advertisers to optimize for mobile. Last November, it said it would limit ad serving to mobile devices if advertisers directed people to landing pages with a lot of Flash content. 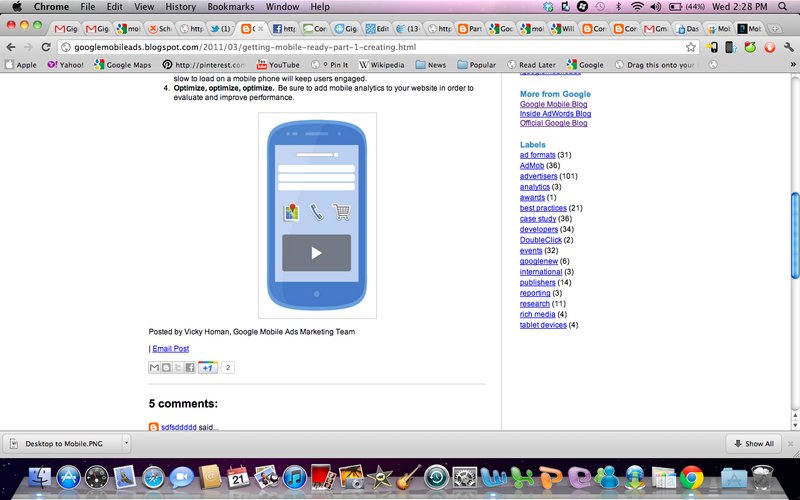 And it’s put out a string of blog posts on the topic and released a simple tool for businesses to build mobile sites. Now, it’s saying that good mobile landing pages aren’t just devoid of Flash but have other characteristics that appeal to mobile users. Those characteristics include prioritizing content and making layouts simpler. And it’s now putting some weight behind its suggestions. Why does Google care about this? Well, it can encourage more people to click on ads if it can ensure that the landing pages look good on mobile devices. Google is, at its heart, about advertising, so it makes sense that it wants to improve the experience, which should ultimately benefit the bottom line. But it’s also a recognition that the web is different on mobile devices, and as people move toward smartphones and tablets, it requires some adjustment. Google said it’s in the interest of advertisers and web publishers to embrace mobile optimization. Google has said early this year that 79 percent of top advertisers do not have a mobile optimized site. But a recent study found that 61 percent of users are unlikely to return to a mobile website that was hard to access from a phone. 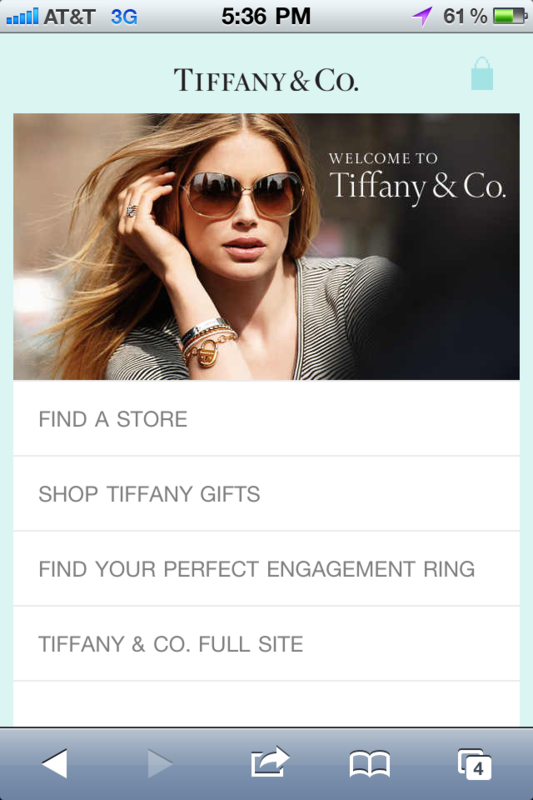 Mobile consultant Tomi Ahonen wrote today that jeweler Tiffany & Co. optimized its mobile website and found that sales of jewelry on its mobile website grew by 125 percent. While Google has a stake in optimized mobile websites, it’s not a bad idea for publishers and advertisers to get on board. The world is going mobile and yet, it’s still surprising to see how many websites are not built with mobile users in mind. This is not just a lost opportunity to engage with a customer, but it’s potentially lost business as well. more than 81 of websites are not mobile friendly or not viewable at all on mobile divices but it seems like business owners are moving too slow to grab this opportunity to keep their current customers and attract new customers on a specialized and targeted message.